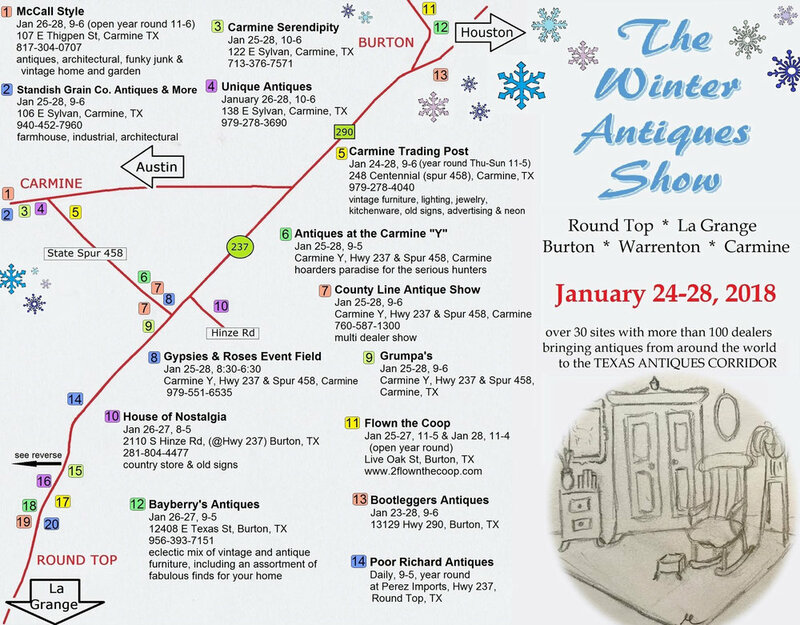 The winter edition of the Round Top Antiques Show has been growing for the past three years, and we know that this year will be the biggest and best one yet! This show offers all of the excitement and great finds of the Spring and Fall Antiques week, but without some of the congestion and crowds to make shopping and getting to know Round Top easier. And we are so happy to have Old Glory Texas open in town, especially for this great weekend! Be sure to check out the many other wonderful venues open for this special weekend of shopping. For more info and a round-up of participating shops and shows, head over to RoundTop.com, and check out the map below for a visual guide.